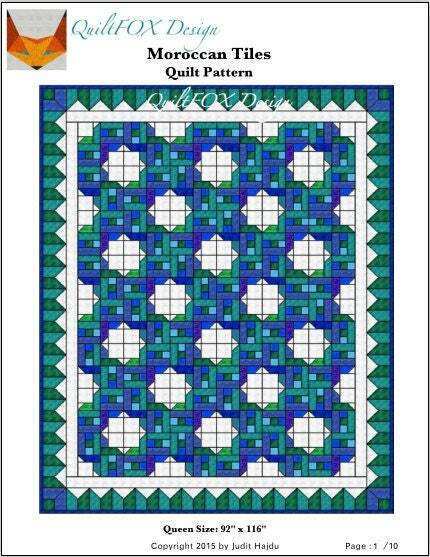 Quilt Pattern - Moroccan Tiles - Queen Size: 92" x 116"
Simple blocks and cold colored fabrics create a striking effect on this quilt. Confident beginners will easily piece it without any problem. My patterns are demonstrated with lots of images and easy to follow. 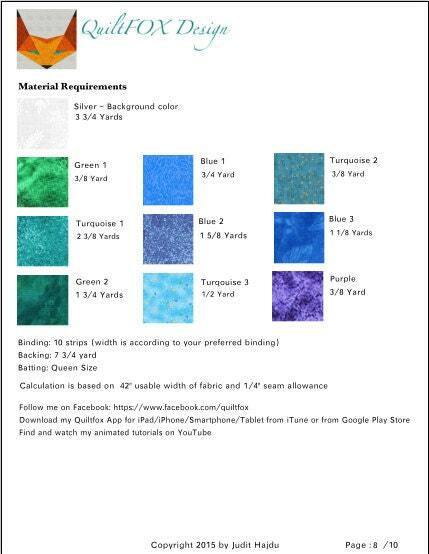 Print the first 8 pages in booklet format to save ink and paper. The last two pages have to printed with Actual Size settings.